Created in 2011 by Dino Maniaci and Jason Hoke, Owners of WOOF’S, SPAWOOF and MANI & Company, WOOF’S KING STREET PRIDE is scheduled again this year for Saturday August 15th. 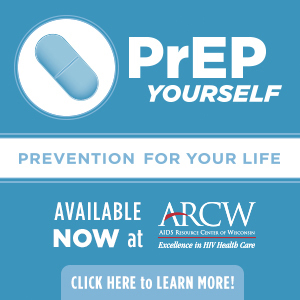 Initially created to offer an alternative outlet for Madison’s LGBT community to celebrate PRIDE, WOOF’S will once again create a welcoming, energetic, street fair atmosphere with community outreach and awareness offerings, food and beverages as well as staging for music and related acts to perform and entertain. Capitalizing on our past successes we will strive to create a similar event with subtle changes that will accommodate additional people, create a variety of community based outreach areas and enhance the activities on the street allowing attendees to spend more time at the event. The event is planned for the 100 block of King St. and is scheduled for Saturday August 15th from 4:00 PM until midnight! We are PROUD to once again name OUTREACH, Inc. (Specifically this years PRIDE PARADE and RALLY) as this years beneficiary for all charitable contributions collected during our event. We are convinced that once again this event will bring a diverse and eclectic mix of local residents and visitors to King street. Last year’s event drew over 1500 local and visiting individuals to our block, enriching both the community and the business atmosphere on King Street. As plans develop for this years event we would like to once again invite you to participate. Last years event raised close to $3000 for the various charities we sponsored. What a great opportunity to market your organization to an audience of community members and supporters. 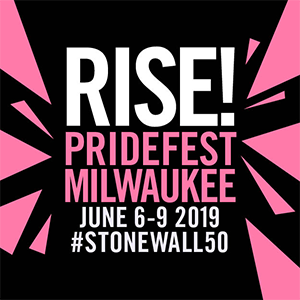 What a equally great way to piggy back on the marketing efforts of a city wide PRIDE event including editorial radio and TV coverage, local and regional print advertising, outdoor and direct mail. We are once again offering Community organizations a *FREE table area for outreach, education and promotion from 5:00-8:00PM. We ask that your table be staffed by employees or volunteers representing your organization and that you provide any/all signage, pertinent handouts, marketing materials and contact info as deemed appropriate. Can we count on your participation? Please feel free to contact me directly via email at maniroad@ aol.com or telephone @ 646-645-6432. *A table and 2 chairs will be provide FREE of charge. Should you require additional materials, power, equipment etc. a nominal fee will be assessed.